Addiction Hope has partnered with American Addiction Centers (AAC), a leading provider of addiction treatment, to further enhance our mission of providing education and fostering community among those in need. Beyond education, community, and de-stigmatization, AAC has earned a reputation for providing a high quality of care to those struggling with addiction across its nationwide network of treatment centers. While AAC treatment centers vary in location, size, and specialty, they all adhere to the highest levels of treatment efficacy and patient safety. 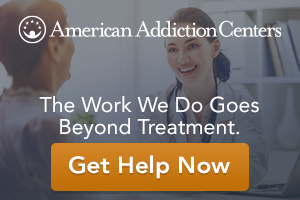 Why American Addiction Centers as a Treatment Provider Partner? An internationally-recognized symbol of healthcare quality and the gold standard of care for the industry, a JCAHO accreditation signifies that a facility has met or exceeded The Joint Commission’s standards for providing addiction treatment, including high acuity medical detox. AAC Facilities have proven treatment outcomes. Only a handful of national treatment centers follow up with patients to measure the impact of treatment received. Even fewer treatment centers publicly share these findings. AAC findings show that its treatment model is making a difference in the lives of patients in more ways than one. Further, AAC uses the data to improve services as part of an ongoing commitment to clinical excellence and the goal of reducing addiction rates. AAC facilities offer a range of treatment options. With a robust network of detox, residential, and outpatient services, admissions navigators at AAC can best connect those in need to a facility that is right for them. Treatment decision-making is determined by a variety of factors including clinical fit, finances, and individual preferences and interests to make the treatment experience as tailored as possible. AAC blazes the trail for new, advanced solutions to treatment safety and efficacy. AAC operates Addiction Labs of America: a leading laboratory in a field called pharmacogenetics. This allows all AAC facilities to create customized treatment plans based on each patient’s genetic makeup, in addition to bloodwork and urinalyses. AAC representatives are available 24/7 through our helpline to answer your questions and will discuss with you the treatment options available at AAC. However, if AAC cannot provide a treatment option that meets your needs, they may suggest you search for non-AAC treatment options. We are confident in our partnership with AAC as a trusted provider. We also encourage you to browse all of your treatment options and conduct your own research to determine which treatment option is best for you.